I was sent the shade 750 Heart Breaker and my initial thoughts were wow! 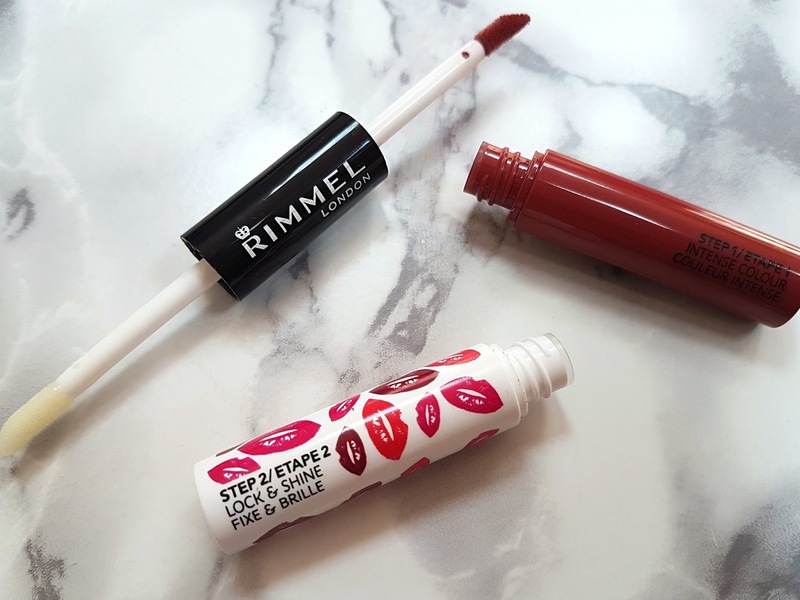 The lipstick is double ended and application is a two step process: step one is applying the actual lip colour lip and step two is locking that colour in place while adding a little shine. 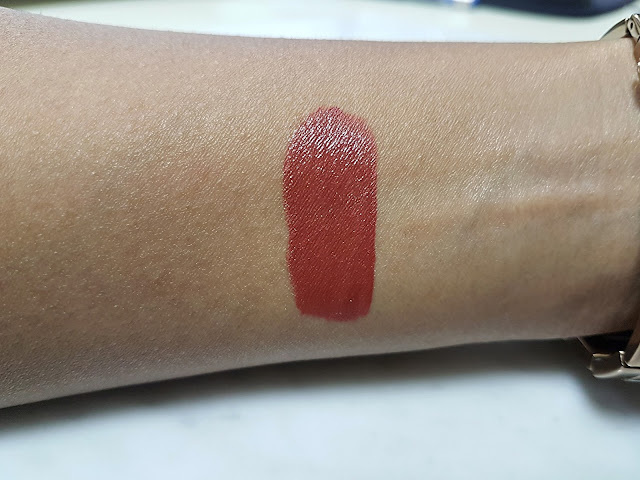 They weren't kidding with the formula, that lip colour is intense and you get incredibly rich colour payoff with just one swipe. It did feel thick and almost mask-like on initial application, however once the gloss was applied on top, my lips were able to breathe and move again. The very first day that I trialed this, I had gone to Kidzania with the girls. I applied the lipstick at around 10 in the morning and got back just after midnight (that's 14 hours!). The gloss had worn off within the first hour, which was fine by me as I don't like the full on gloss look, just not my thing. But, three meals and several coffees later, the lipstick had worn off only ever so slightly around the inner part of my lips and the colour was still intact for the most part. Though not quite 16 hours, my lips still looked good! 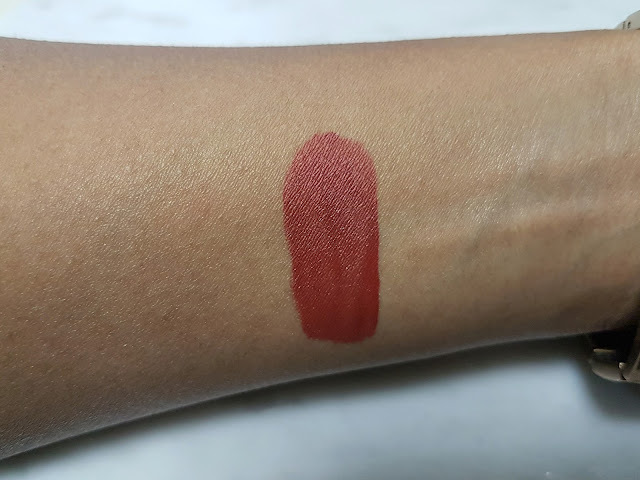 The formula is comfortable despite being a liquid lipstick (I have heard that this varies from shade to shade), and any dryness can be fixed with a quick swipe of lip balm during wear time. The formula promises to be kiss-proof, food-proof and transfer-proof which I actually put to the test. There were no tell-tale lipstick smudges on my straws or coffee cups. I even very bravely patted my white sleeve over my lips and nothing! No smudges at all! Now that is a miracle in itself. Until now, transfer-proof lipsticks had always transferred on me, I can't be the only one who gets lipstick on all-important documents, right? But long wearing lipsticks have a dark dark side, this was next to impossible to take off. I tried my regular cleanser, nothing! Micellar water? Nada. The only thing that took this off completely was my trusty Clinique Take the Day Off makeup remover (click for review!). Also, a bit of a warning, do not attempt to reapply this! It is just not possible and if you do try to, you're left with a big mess. If you feel the need to reapply, take it off with a bi-phase makeup remover and start again. Now with age, the longevity of the lipstick has been declining steadily. 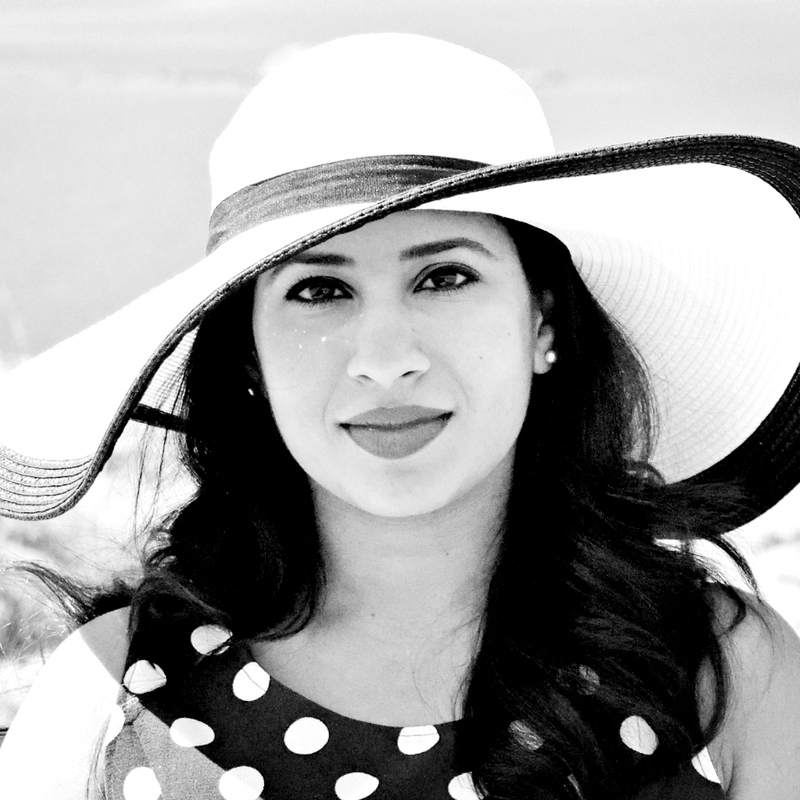 Though initially I was getting over 14 hours of almost perfect wear-time, a few months down the line, the lipstick only lasts a few hours on me before settling into the lines in my lips. That's still good mind you, I'm not complaining. I'm attributing this to the air that gets mixed into the formula every time I use the lip colour and gloss. 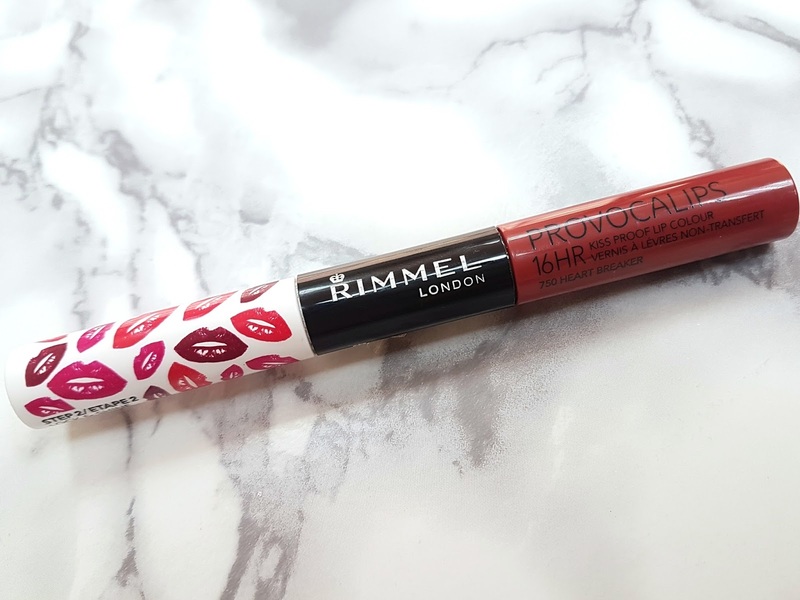 Also, with each use, the gloss gets a little contaminated with the lip colour (it has a slight brownish tinge right now), which is probably deteriorating the sealant properties of the gloss. Again, the performance of the lipstick seems to vary with each shade which is rather unfortunate. Personally, I've only tried Heart Breaker, but I'm looking forward to picking up a few more shades and why not, a long wearing smudge-proof lipstick that delivers just that, all at a very affordable price. Provocalips, you've won me over!